Our spring retreat was sponsored by a number of generous companies and suppliers. We enjoyed the gifts of materials to use in our projects, share at the table and take home for future inspirations. Thank you so much to each company, artist, artisan and farmer who generously supported our event. Please visit their sites to see what they offer. Not too soon to be gearing up for the holidays! Lovely offerings for gifts or art-making supplies for your home! Cosmo threads has been so generous to us! They always keep us in stitches. Blend fabrics sent us a jumbo box of fabrics - including my out-of-print collections - for our art quilts. We had so much fun mixing and matching a variety of prints and colors. 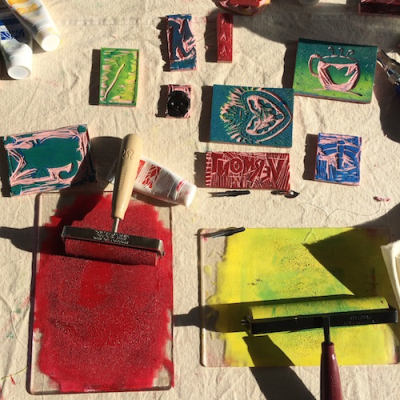 Speedball provided stamp carving and printing materials so that we could personalize the quilts with our own designs and carved stamps. 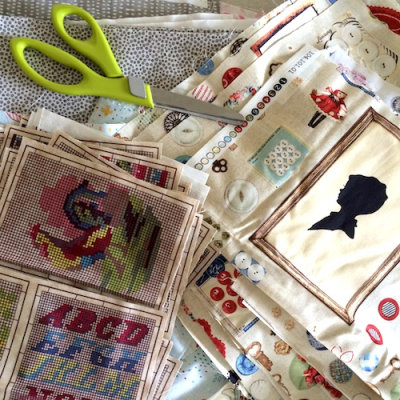 Prairie Point Junction sent a lusciously curated collection of felts for our quilts. Gorgeous colors of wool blend felt. Claudia from Snuggly Monkey gifted each guest with handy embroidery snips, embroidery threads and felt bundles as well as a discount coupon. 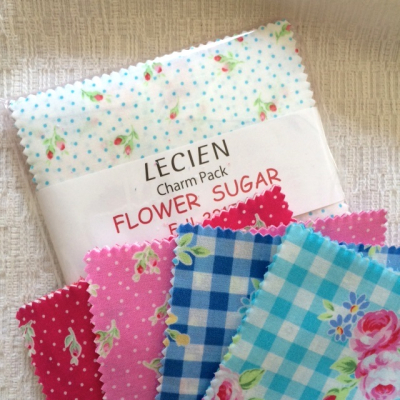 Lecien fabrics sent delightful charm packs of their fabrics. Love those bright and cheerful prints! Sakura sent us yummy art pens and a nifty pen case for journalers on the go. Tammy at Wing and a Prayer Farm made lavender soaps for us! 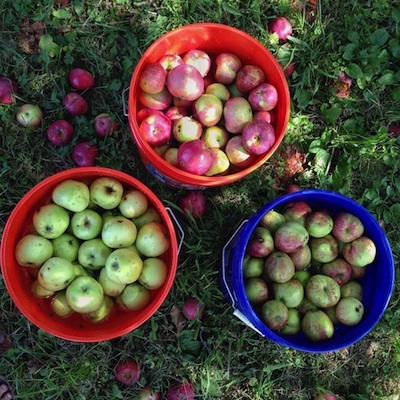 As she often does, she also hosted a fun farm workshop and made all our favorite pies, scones and muffins! Pam created one-of-a-kind little paintings for each guest and tucked sweet treat bags of ephemera and postcards into each guest's tote. 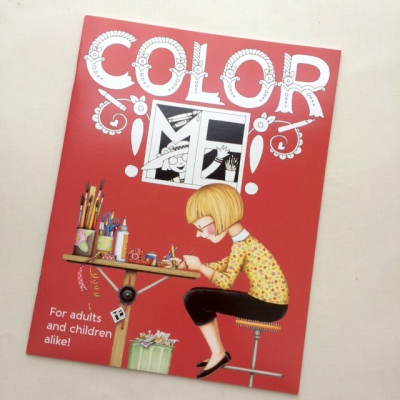 Mary sent her newest collectible coloring book for each guest!!! Cloth Paper Scissors shared an issue of their lovely magazine with each guest and sent a number of art and craft books for our craft library. Uppercase shared their beautiful illustration issue packed with awesome talent, trends and inspiring work. And Studio Hill shared their delicious local farm products with us and spoke to our group about sustainable farming. Again, enormous thanks to everyone. Your support means so much to each of us! We love your work! Jul 9 spring sponsors and a giveaway!